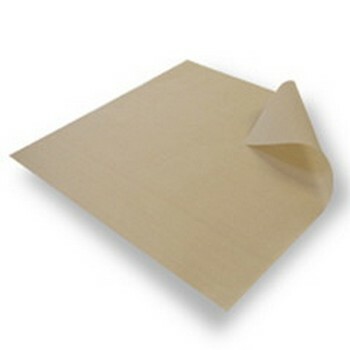 This Generic (not Excalibur Brand) Premium Grade 5 Mil 14" x 14" Non-Stick Sheet is good for over 1500 uses! Fits Excalibur, Tribest and many other dehydrators. These sheets can be cut or folded as necessary to fit other dehydrators. Limitless applications for the preparation, processing, and cooking of foods. 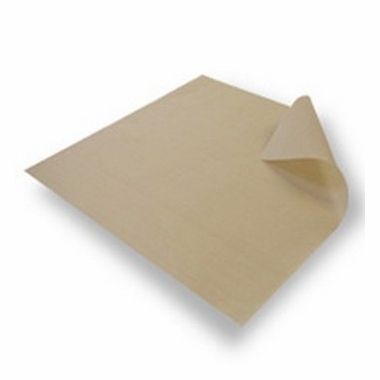 The non-stick surface, flexibility, ease of cleaning, and tolerance to cooking temperatures make these unbranded, PTFE dehydrator sheets an indispensable cooking aid. 14" x 14" fit Excalibur dehydrators, or you can simply cut to fit your dehydrator trays, cooking surfaces or work areas. For cleanup, simply wash these with warm soap and water, then dry. These unbranded non-stick dehydrator sheets are a must for every chef. These are not Excalibur branded but are cut to fit and designed for use with the Excalibur dehydrator. They can also be used in L'Equip Dehydrators, Nesco Dehydrators, American Harvest Dehydrators, Miracle Dehydrators, Sausage Maker Dehydrators and others - simply cut with household scissors to fit. This Super flexible dehydrator sheet is great for non-stick fruit leathers, crackers, essene breads, fruit rollups, Yogurt Strips, taffies. They can be reused over 1500 times! When cleaning, run water and a sponge over the sheet; For best results and longest life, do not submerge them in water; there is no need to anyway as they click up very easy due to their non-stick properties. PLEASE NOTE: These are generic, unbranded non-stick sheets, they are NOT Excalibur brand, but offer similar functionality. I bought some of these at the same time I got the Excalibur Paraflex sheets and tested them side by side with the logo sheets. I found no difference between the two as far as how good they worked. My fruit leather and crackers came off each sheet with no problem. The sheets cleaned up easy with a sponge and some soapy water. Other than the logo I can't tell the difference. I'm going to be buying more for the rest of the trays in my dehydrator. Haven't used them yet, but look as advertised. Care will need to be taken when cleaning the surface to avoid damage. Love the sheets! I have made a lot of fruit leather with them and they work great. I am super happy to be able to change my eating habits. thank you very much.